A Yeovil college apprentice has had the opportunity to travel the world as part of his course – and says the experience has been ‘surreal’. 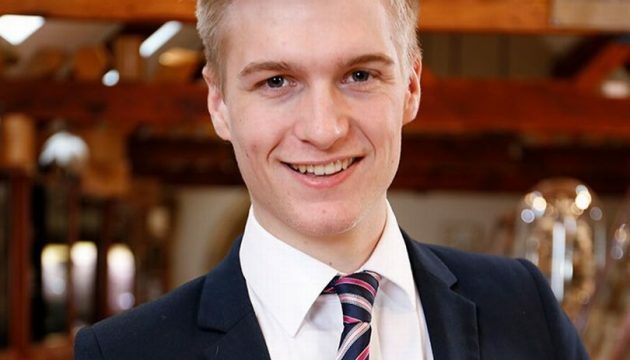 Dan Holt, formerly of Beaminster School, is currently studying a Level 3 Diploma in Creative & Digital Media Apprenticeship with Crystal Classic Fine Materials. The talented apprentice has now secured a job with the company once he completes his apprenticeship in December. He added: “I decided I didn’t want to go to university, so when I was looking for jobs I looked on the Apprenticeship website, saw this job, and because I did photography at sixth form, and as it is one of my main hobbies I just jumped at the opportunity, as it allowed me to learn the more commercial side of the art. Media, Art and Design is thriving at Yeovil College and learners leave ready to work in the creative industries with impressive portfolios. The college combine strong practical education with excellence in academic teaching to encourage reflective, critical artists, designers and media specialists. Students are surrounded by artists, designers and producers in our workshops and studios. Many learners go on to higher education, or into employment, often in their chosen creative field or something similar and we have some well-known alumni such as musician PJ Harvey and fashion designer Alice Temperley. Yeovil College has been serving the community in and around Yeovil for 130 years. The College was first formed in 1887 when Somerset County Council began formally organising Science and Art classes in Yeovil. In 1947, the first Principal was appointed to lead Yeovil Technical College and when secondary education in the Yeovil Borough was reorganised in 1974, Yeovil College became one of the early tertiary colleges to be formed in England. For more information on Yeovil College courses, please visit www.yeovil.ac.uk.